This policy has been written for the benefit of my hypnotherapy clients. Though therapists are generally trained to keep their personal lives out of the consulting room for the benefit of their clients, the availability of information about us on the internet means that this isn’t always possible. 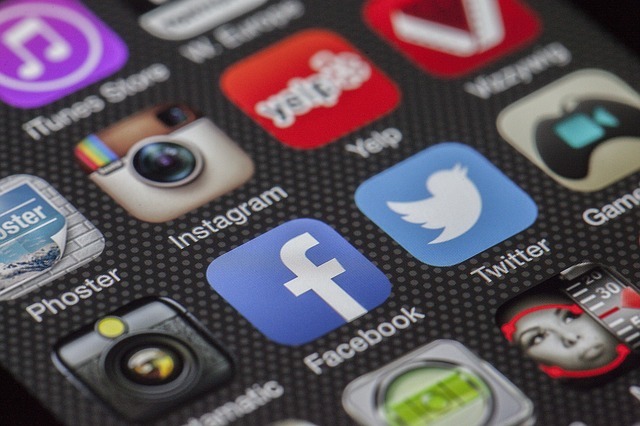 Furthermore, therapists need to make their own choices about their involvement in social media, how publically available their online presence is, and to be aware of how their online presence can aﬀect their clients. This document is based on my own choices with regard to social media, and I ask all my clients, whether face to face or online, to read through this document so they are familiar with my view on the topic. In addition to my clinical hypnotherapy work, I also have a job with a corporate employer and teach yoga classes. As part of these pursuits, I utilise various online resources including my website and social media channels to promote some of my activities. I see these as related to, but completely separate from my clinical work with clients. My duty of care to my hypnotherapy clients and my professional commitment to confidentiality means that I only talk about clinical work in general terms in public spheres. As my client you will have received a contract covering the confines of my confidentiality with you and this is a contract I take most seriously. As a therapist, it is ethically important for me to make sure relationship boundaries with my clients are clear. Therapists do this to protect both their own interests as well as those of their clients. As part of these boundaries and to ensure the success of therapy, I will avoid ‘dual relationships’ with people where possible (for example, someone being a client as well as a friend). The very nature of an online presence can blur these boundaries, so it is important for me to be as clear as possible about how boundaries may be challenged in an online environment. I maintain a clinical and personal presence on Twitter. I occasionally send links that may be of interest to my followers and occasionally engage in public conversations on these topics. I would advise against following my personal Twitter stream as I would prefer that our relationship remains ‘in the consultation room’. As a result, I will not knowingly follow any current or former clients on Twitter. You may, however, follow my Aurora Mind and Body Twitter stream if you wish. I maintain a personal Facebook account and a professional LinkedIn account. I aim to keep my personal Facebook account as private as possible and it would not be appropriate for me to be Facebook ‘friends’ with former or current clients. You can, however, follow my Aurora Mind and Body Facebook page where I maintain a clinical presence, sharing related links and stories that may be useful to current or prospective clients. As per the above, I have also decided that it would not be appropriate to add current or former clients as connections on my personal LinkedIn accounts. You may have Google-searched me before you got in touch and it’s likely you may have found Aurora Mind and Body this way. You may also be aware that you can build up a picture of someone from a Google search that may be rather distorting. While I acknowledge that Googling others is now a generally accepted aspect of daily life, I wish to avoid this distortion as much as possible by not Google-searching my clients before I meet them. It is of course your right to Google me, however, if in your search any questions are raised, I would request that you raise them with me at the first opportunity. Social networking and other online activities are increasingly becoming a part of our daily lives and as a result you may wish to share your stories and experiences with me in between sessions or after our therapeutic relationship has ended. Should you wish to do this, you are welcome to contact me via email or via the Aurora Mind and Body Facebook page but please note I will not generally reply to messages in between sessions. You are welcome to leave a review on my Aurora Mind and Body Facebook page or Google. I regret I am unable to publish testimonials on my website as this is prohibited by my professional organisation. Should you encounter something about me online that concerns you in some way, please do discuss it with me. * Special thanks to Dr Aaron Balick (http://www.mindswork.co.uk) and Dr Keely Holmes (http://drkkolmes.com) who provided the model for this social media policy.